There is an abundance of driving games available for the various mobile platforms covering a number of titles, and today we have the news that Asphalt 8: Airborne is now free for the iPhone but you will need to be quick to take advantage of this excellent offer. Asphalt 8: Airborne was only released last month for Android and iOS users but the game has been made available for iOS users free for this weekend only saving users Â£0.69/$0.99. 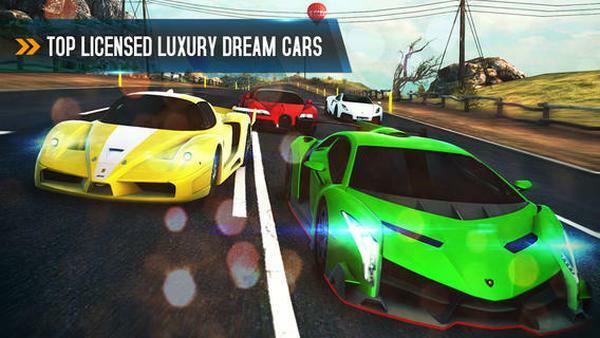 Many mobile users like to get quality games for free and the latest game in the Asphalt franchise promises to have the best graphics yet coupled with an all new physics engine. Players get the chance to take control of 47 high performance cars with many of them new ranging from the likes of the Bugatti Veyron, Lamborghini Veneno, Ferrari FXX, Pagani Zonda R, and many more. This will see you pulling off death defying stunts and destroying objects that get in your way and new high fidelity motor sounds have been added for that extra realism. There are ramps that will let you take the race upward performing barrel rolls and wild 360 degree jumps, and there are 8 seasons with 180 events in the career mode. The multiplayer mode will see you take on up to 8 opponents and there are music tracks from the likes of The Crystal Method, Bloc Party, and Mutemath. To get this excellent game for free head over to the App Store today. Notice how it said weekend… It’s not free anymore, you were too late.